Prologis Park Gateway Campus - Rinker Design Associates, P.C. Rinker Design Associates provided engineering and surveying services for the design of fourteen one-story warehouse distribution facilities with a total gross floor area of 1,119,687 square feet on four separate parcels totaling over 82-acres in Loudoun County Virginia. Buildings 8 and 9 were retrofitted to be Data Centers and Buildings 10 and 11 were designed as Data Centers. One regional wet pond provided Storm Water Management(SWM) and Best Management Practices(BMP) for Buildings 1-9. A separate wet pond provided SWM/BMP for Buildings 10 and 11. Detailed BMP calculations and SWM pond routings for the 2, 10 and 100-year storms were performed for all SWM/BMP facilities. Drainage divides were computed and a storm sewer system was designed to convey the runoff from each individual site to a SWM/BMP facility. This storm system was laid out, sized and profiled. The storm sewer system computations were performed with the assistance of StormCAD and the storm inlet computations were determined using the QHEC12 program. Over 7,000 linear feet of waterline was laid out and profiled. A two-phased erosion and sediment control plan was laid out for each site plan including sediment basins, sediment traps, diversion dikes, silt fence and other standard controls as necessary. A detailed erosion and sediment control narrative was provided for each individual site. This narrative was created in conjunction with the specifications required by the Virginia Erosion and Sediment Control Handbook. A landscape plan was incorporated into each plan set in accordance with County requirements. These plans included the selection of plant materials and the location where these trees and shrubs should be planted to meet County buffering and overall landscaping requirements. A construction plan and profile was provided for Prologis Plaza, a private street onsite. Sight distance profiles were provided along Pacific Boulevard for both entrances into the site. A detailed proffer analysis was also performed for the parcel where Building 10 and 11 were located since this parcel was subject to a rezoning. 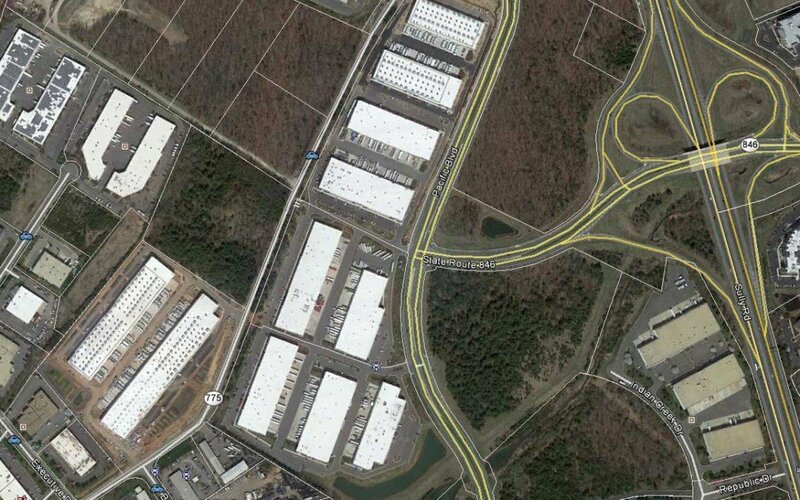 The site plan for buildings 10 and 11 was processed through Loudoun County under the modified process which allows for expedited review even above the already expedited Engineer’s and Surveyor’s Institutes Designated Plans Examiner route.